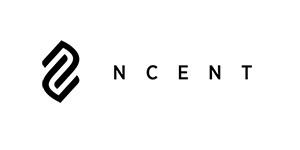 nCent is open-source and versatile. Use our API and SDK to make your app. To see how we made our apps with these tools, read our guides. We will help every step of the way. 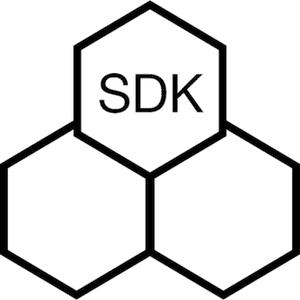 We've made our SDK setup as simple as an npm installation. This tutorial video will walk you through the process so that you can get off to a quick start. Big ideas should come with powerful tools. This video demonstrates our SDK's functionality and includes an overview of our API. See how you can harness the power of nCent by stamping tokens, processing transactions, and more! Security is important for every blockchain application. Watch this video to see how you can use our SDK to manage public and private keys for your project. We encourage developers to implement device-level security. This guide walks through our mobile wallet implementation. Our first SDK application leverages Gmail to facilitate token transactions. Check out this video to see how it works! What types of applications can I build using nCent? Any application you can think of that uses incentives! To get an idea of what this means, check out a series of our articles on “needle in a haystack” problems: employment searches, dating applications, online auctions, and charitable donations. It will also be very helpful to consider the core operations that can be performed on NCNT tokens (see the bottom of this page). You can find even more ideas for applications here, too! How can I get started building?!? We recommend familiarizing yourself with core concepts in our litepaper and KK’s fireside keynote with Steve Jurvetson. We also recommend our nCent network overview (coming soon), tutorial videos (above), application building walkthrough (coming soon), and SDK documentation. All nCent accounts (or addresses) can be created client side using our SDK. Simply call the createWalletAddress() function in the SDK, which will return a unique public and private key pair. How do I send NCNT to another account? You can send NCNT and other tokens to other addresses using our SDK. Simply call transferToken(sender_keyPair, receiver_public, tokentype_id, tokenAmount, resolve, reject). The sender_keyPair is the public and private key pair of the sender, the receiver_public is the public key of the receiver. Remember to stamp the appropriate token (and/or NCNT on a local API instance) before you transfer! For more information, check the documentation here! What is supporting nCent’s API? nCent’s API is currently supported by our sandbox which uses a node.js backend to replicate the functionality we’re building into nCent Core. nCent Core is being developed in our private repo and we anticipate sharing our code publicly later this year. Is nCent Labs working on a testnet? Yes - we’re actively working on nCent Core and our testnet and we’re excited to share it with the public later this year. When will the API be supported by nCent Core? We anticipate launching our testnet towards the end of Q4 2018. What stack are you using for the core technology? nCent Core is written in C++ and our API is written in Go. © nCent Labs 2018. All Rights Reserved.